My name is Chris Macdonald and normally known as a kayaker but have recently found a passion for stand-up paddle boarding. In July I will be crossing the English Channel on a SUP for charity. I have paddled across the Channel before in a sea kayak and according to my safety company (Full Throttle Boat Charters) I will be the FIRST to have crossed it in both a kayak and SUP board. I have set myself this challenge because I love challenging myself and more importantly making a difference in this world. I am doing it to raise money for the ‘Wave Project’. This is a charity based all over the UK doing amazing work, improving the emotional health and reducing anxiety in young people by providing them with the opportunity to surf. I have chosen this charity because since living in Cornwall, I have got to understand the positive impact water sports can have on young people. 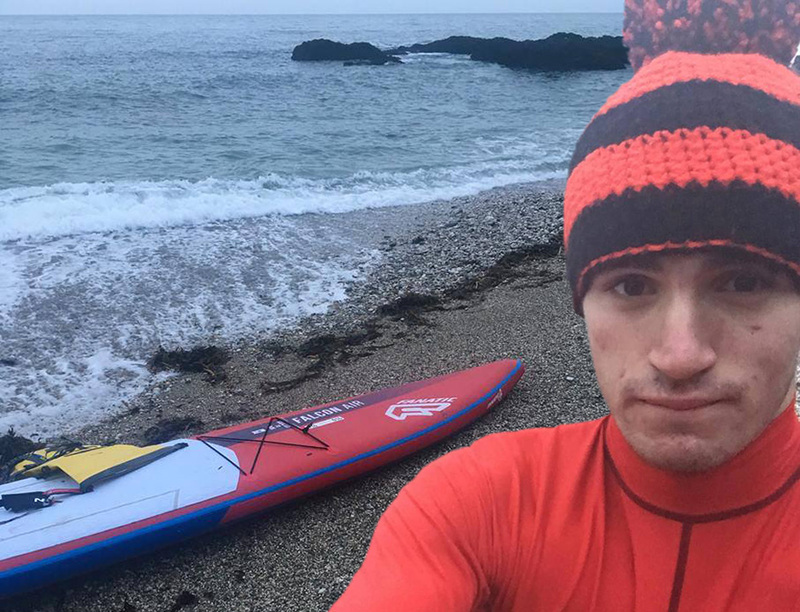 I have previous SUP experience but none in long distance SUPing, so I have started training hard in all conditions to get used to the board and figuring out what equipment I should use.